It's a bit of sweeping statement to say that History is boring. Of course it is, if it's not presented in the right way, but the History Channel has produced some exciting and interesting documentaries, more recently turning to the video games industry in order to spread the word to a new audience. 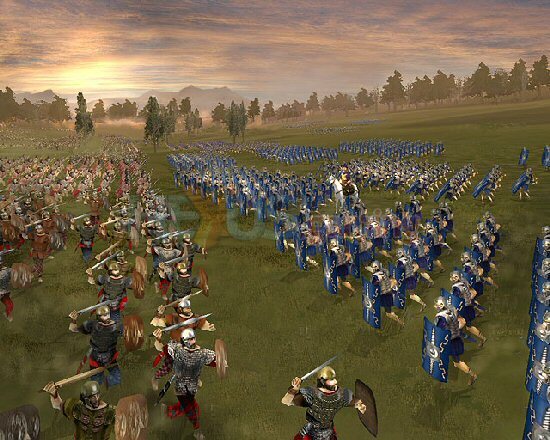 The aptly named 'The History Channel: Great Battles of Rome', is a battle strategy simulation video game from Black Bean Games and the History channel. The latter has jumped on board to add its name to the title, like a stamp of approval, which suggests that the game will stick faithfully to the historical facts. They've also lent over 50 minutes of program footage from their TV shows, hoping to give the game an authentic Ancient World feel and immerse the player in some of the greatest battles of the era. The influence of the History channel on Great Battles of Rome is clear to see from the outset. The program footage accurately portrays the era and does a good job at building the atmosphere and the tension before you go to battle, as well as giving you an insight into the historical facts surrounding these wars. At times, it does feel as though you're taking part in a history lesson, but this period of Ancient Rome is an interesting one and as the game progressed I became more and more absorbed in the video footage, keen to learn more about this period in history. The aim of History Channel: Great Battles of Rome is to fight and lead your troops in some of the biggest battles in the Ancient Modern World, at a time where Rome was the centre of the world and tribes warred between themselves in order to gain or protect their territory. Interestingly, there are two perspectives in which you can play the game. First off, and the one that I chose, was the Romans, where you take part in revolts, fight the Gauls, lead the country through civil war and even fight hand-in-hand with Caesar and take on the might of Hannibal and his army of elephants in the Second Punic War. Alternatively, you can choose to fight with the Celts, from the Barbarian perspective, leading them on expeditions and raids through hostile territory, eventually leading to a huge battle against the Romans.